Ever since Oracle introduced its Unbreakable Linux support program in late 2006 there have been doubts about whether the company could continue to maintain compatibility with Red Hat Enterprise Linux. Doubts have increased recently following Red Hat’s decision to cut support for Xen in favour of the KVM virtualization technologies it acquired, while Oracle remains committed to Xen. While Oracle’s CEO Larry Ellison made no mention of this issue he effectively delivered Oracle’s answer to it as he announced the launch of Oracle’s Unbreakable Enterprise Kernel for Oracle Linux (formerly Oracle Enterprise Linux). Oracle has announced the availability of the Unbreakable Enterprise Kernel for Oracle Linux, a fast, modern, reliable kernel that is optimized for Oracle software and hardware. “Today’s hardware innovations are fast and frequent, making it very important that the Linux distributions evolve quickly to leverage the latest hardware,” said Wim Coekaerts, senior vice president of Linux and Virtualization Engineering at Oracle. The Unbreakable Enterprise Kernel has been developed by Oracle in relation to its Exadata and Exalogic integrated systems and is being positioned by Oracle as the recommended choice for all Oracle software. Τhe 13th version of the world famous WordPress blogging platform is avaliable for quite some time now. 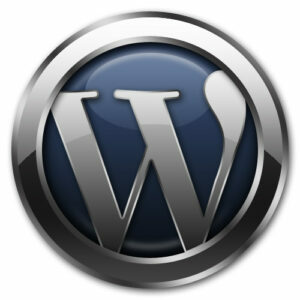 New WordPress 3.0 has a bunch of new neat features that bloggers lives easier. Despite the fact that WordPress has always been a very user-friendly platform it is obvious to us that the new release will still cause some questions and issues, especially from unexperienced users. Considering some new revolutionary options that have been implemented in the new release (e.g. WP MultiUser) the following tutorials aim to help you understand and utilize more this release.